If you are planning on attending the Tides game with Adipsy you will get a chance to meet an amazing young lady! Erin will be tossing out the first pitch of the game. She was scheduled to throw out the first pitch at last years game until some unforeseen circumstances changed everyone’s plans. “Erin was an energized, free spirit, sports fanatic who loved attending church. 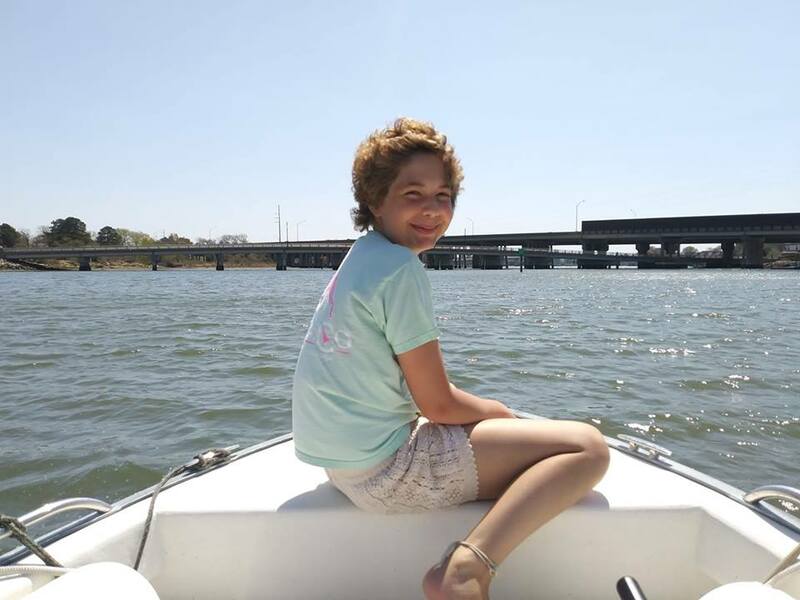 Her battle with cancer began in June 2013 at age 9. Erin began notice things changing, she went from feeling like a normal 9 year old to suddenly have strange fevers and alternating knee pain. As a mom, thinking about her age, I thought it was just growing pains. Soon it began to be different, the pain increased and would not go away. It became so overbearing that she could not finish the third grade, she became extremely lethargic, had no appetite and was not able to walk due to joint pain. Physician after physician thought the same thing, growing pains or a virus of some sort, they kept guessing for over a month. Finally, her pediatrician did an inflammation blood test, the results showed Juvenile Rheumatoid Arthritis, which we would later find out was a miss diagnosis. This diagnosis would lead us to CHKD where they admitted her for further testing. Erin’s testing was intense to say the least, and the results were a diagnosis that no parent expects….YOUR CHILD HAS CANCER. Erin was diagnosed with Acute Lymphoblastic Leukemia……..what did that even mean? We learned with treatment she had an 80% chance of surviving – we thought 80%….we’ve got this! Erin was never technically compliant, she never met the “no more cancer” marks on time, but she made it at her own pace. She was finally at the end of her treatment a year ago, or so we thought. A day after her bone marrow biopsy to confirm she was in remission, we received the call that her cancer was back. She was just about to have her port removed, the orders were written, how could this happen? Erin went from have an 80% survival rate to now only a 20% survival rate. In June of 2017, we left her siblings and our family behind and headed to Durham, NC to Duke for a bone marrow transplant and a 6-8 month stay. Erin ended up receiving 2 transplants while she was at Duke. She endured total body radiation repeatedly and more chemo than she had in the 3 1/2 year of fighting, in just a 4 day period. Her transplant team literally brought her to the brink of death to give her new life. We finally had the amazing news that – she did it! She knocked cancer out of the park! She is now 8 months post her double transplant. It is so good to have my baby girl back to herself. We go to Duke for her check up in two weeks – right after the ball game. We will then visit Duke again in September for another check up to make sure that she is remaining cancer free, please pray for my baby girl, my warrior that she will have finally put cancer behind her. September 1, 2017 was the day she received her new life, new blood type and we are believing that September 2018 will be a time for a huge celebration! Stories like these are why we do what we do and we couldn’t do it without your generous donations! Be sure to give Erin a high-five and congratulate her when you see her at the ballgame. Your support and encouragement makes all the difference in the world to someone battling cancer.